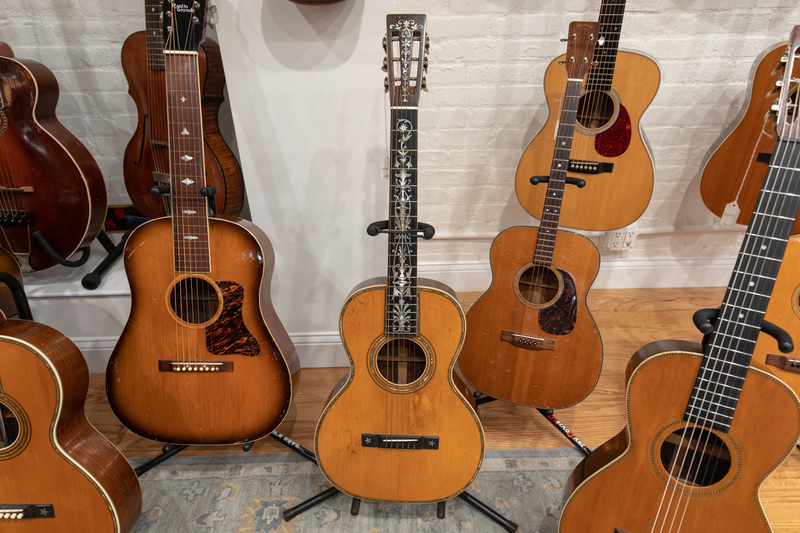 CARROLL GARDENS – After 35 years at the historic ASPCA building at 233 Butler Street in Gowanus, the vintage guitar repair shop and showroom RetroFret has moved west to Carroll Gardens. The business’s new home at 87 Luquer Street is located at the end of a quiet block, right by the intersection of busy Hamilton Avenue. 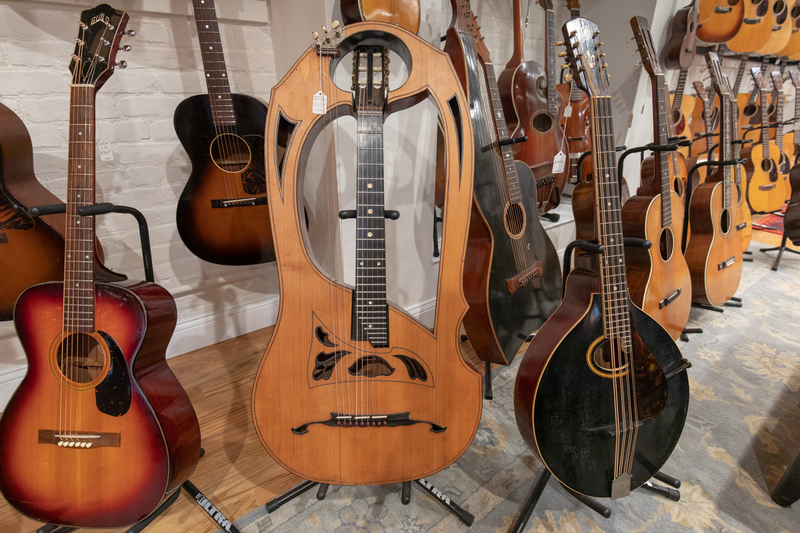 The nearly 5,700-square-foot space is a music lover’s dream, with a tidy repair shop in the rear and a showroom displaying jazz-, bluegrass-, and folk-oriented acoustic guitars, steel guitars, and electric guitars and basses as well as amplifiers. 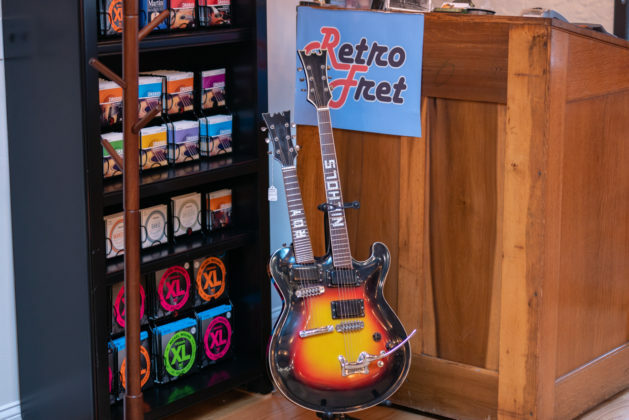 “We like to describe this as a ‘Please Touch’ museum,” RetroFret founder Steve Uhrik said. “I’ve always been so intrigued with antiquity,” he recalled. “As a kid I used to go to the [Metropolitan Museum’s] musical instrument collection and I would just have my face up against the glass. 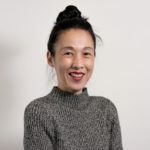 They were unusual instruments and I knew that was something that I was enamored with and just wanted to be close to.” Later as an adult, Uhrik would work with the Met in restoring pieces from their instruments collection. 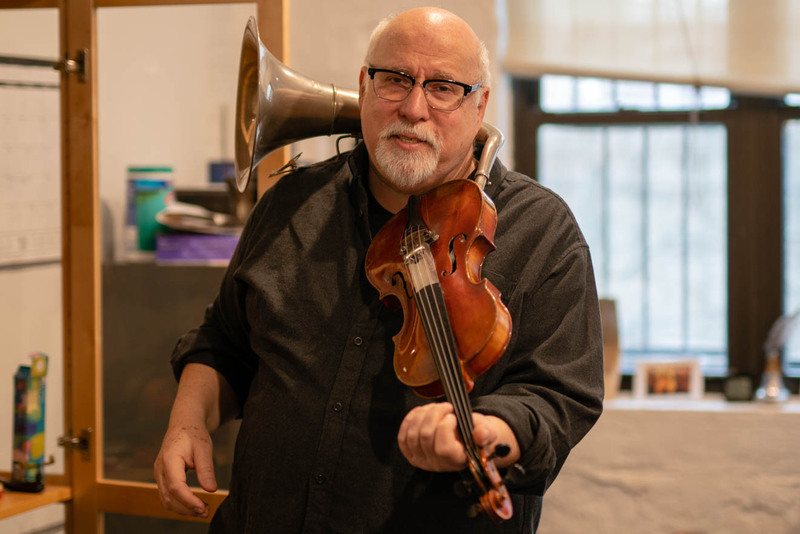 To further his instrument-making skills while still a student, Uhrik worked for the renowned violin restorer, Sam Eisenstein at his West 57th Street workshop in Manhattan. Along with picking up lunch for his boss, Uhrik observed him as he re-haired bows and hand cut violin bridges. “I’ll never forget the first bridge I cut…. He picked it up, said ‘Not very good,’ and he snapped it in half. There’s a part of the bridge called the heart and [it was] literally a broken heart. We try not to do that here,” he said laughing. 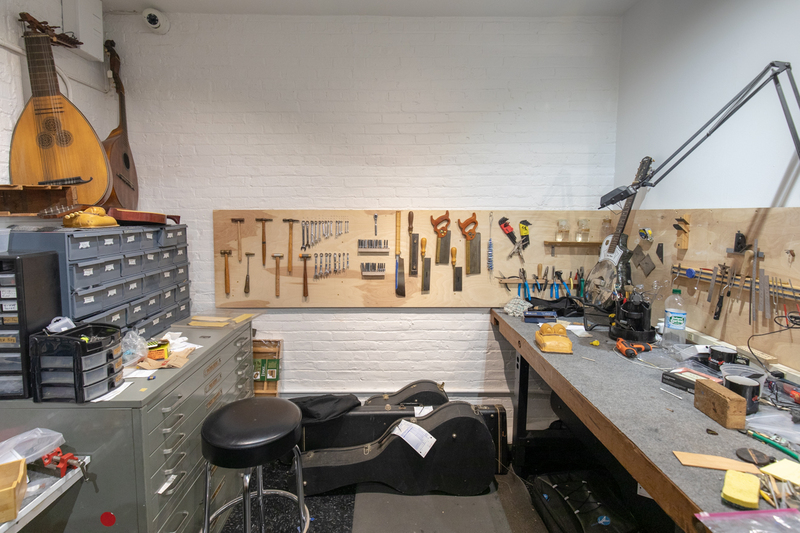 After graduating from Brooklyn Tech in 1973 as part of the school’s last all-male graduating class, Uhrik and two friends opened Uhrik Luthiers, an instrument repair studio at 55 Mercer Street in Soho. 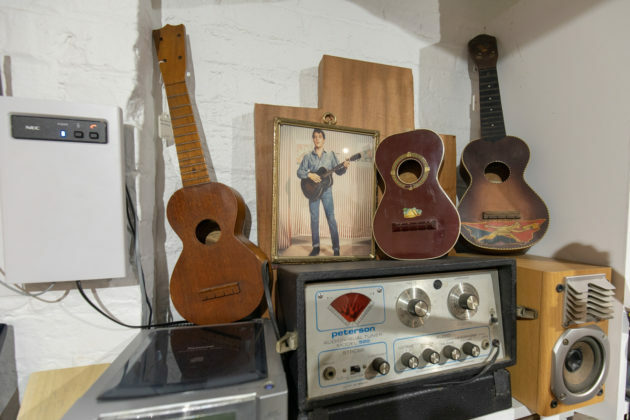 “It was a 6,000-square-foot loft that we rented for $400 a month.” The trio worked out of this space until the early 80s. In 1983, Uhrik and Larry Trupiano, one of his colleagues from Mercer Street, purchased the former Brooklyn headquarters of the ASPCA (American Society for the Prevention of Cruelty to Animals) on Butler Street between Nevins and Bonds Streets. Completed in 1913, the building needed a lot of work. “There were animal cages all over,” Uhrik recalled. Trupiano operated his business making and restoring pipe organs on the lower level while Uhrik ran RetroFret in various sections of the building. “To get to the showroom you had to walk across what used to be the dog run on the roof, and the repair shop was somewhere else,” according to Uhrik. Despite the quirks and inconvenient layout of the facility, Uhrik and Trupiano remained there for 35 years, selling the building in 2017. RetroFret employs twelve staff members, including four technicians who work with Uhrik in repairing and restoring vintage guitars for clients. The company also acquires vintage pieces to restore and resell. “We’re not working that much on your modern factory instrument,” he explained. “I’ve always just been taken by old, weird instruments,” he said, evoking a young Uhrik admiring the antiques at the Met. “I like the way they smell,” he said. “As a little kid we had these old phonographs that I loved taking apart and trying to fix. 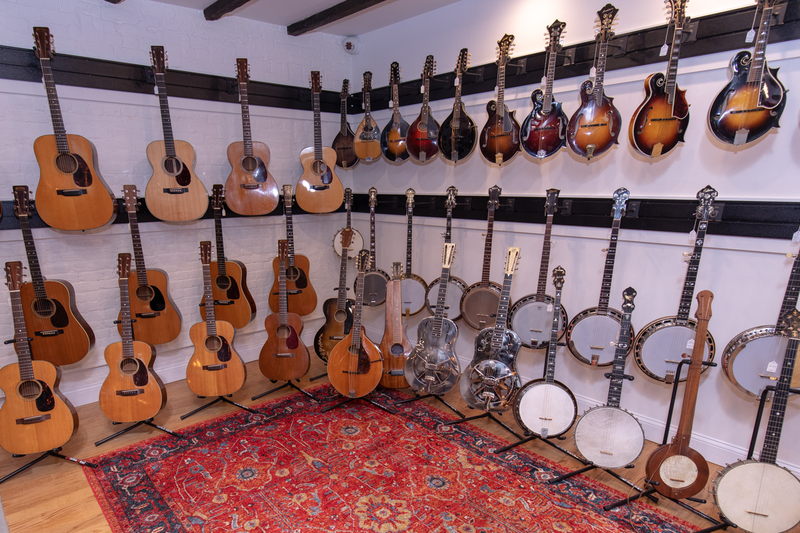 The motors and the wood had a certain smell, and old guitars kind of smell that way, and I think there is a very visceral connection,” he said of his fascination with vintage instruments. “I went from being able to turn around repairs in a couple of days and now it’s six months,” he added. “People expect a higher level of quality. 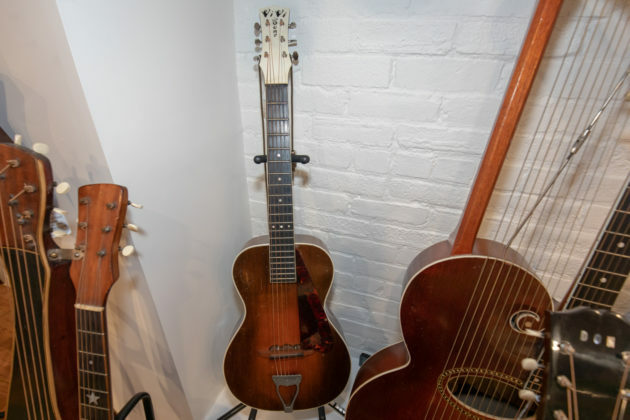 What used to be a cute old used guitar is now a vintage guitar worth tens of thousands of dollars and you don’t want to have something done that’s going to destroy the intrinsic value to that,” he said of the time and care dedicated to each job. 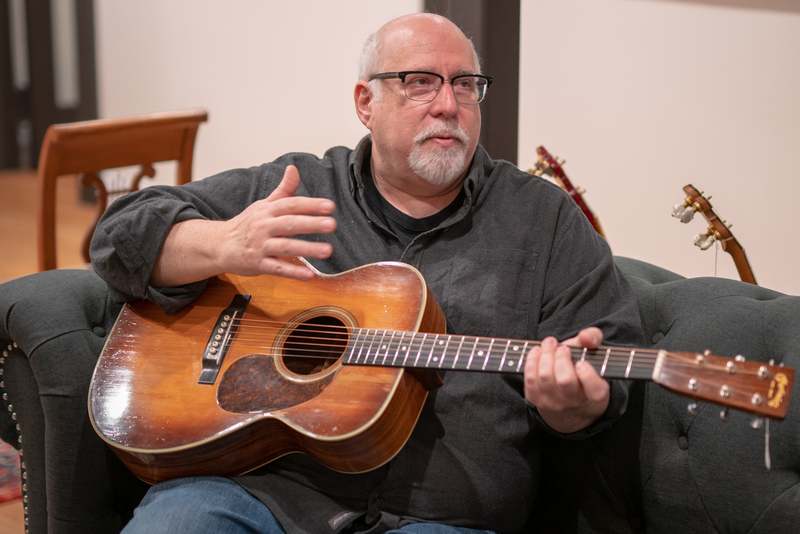 When asked about the most interesting instrument that he’s ever come across, Uhrik recounted a story about a custom guitar he acquired that was built for the country singer/songwriter Lefty Frizzell. “It said Lefty on it,” and had a Gibson body with a Bigsby neck, said Uhrik. “He was playing at a club in Bakersfield, California and this 17-year-old kid comes up to him and goes, ‘Can I play you a song?’ and it’s Merle Haggard. Uhrik said Frizzell was so impressed by the teen that he asked him to open up for him that night and let him play his customized guitar. 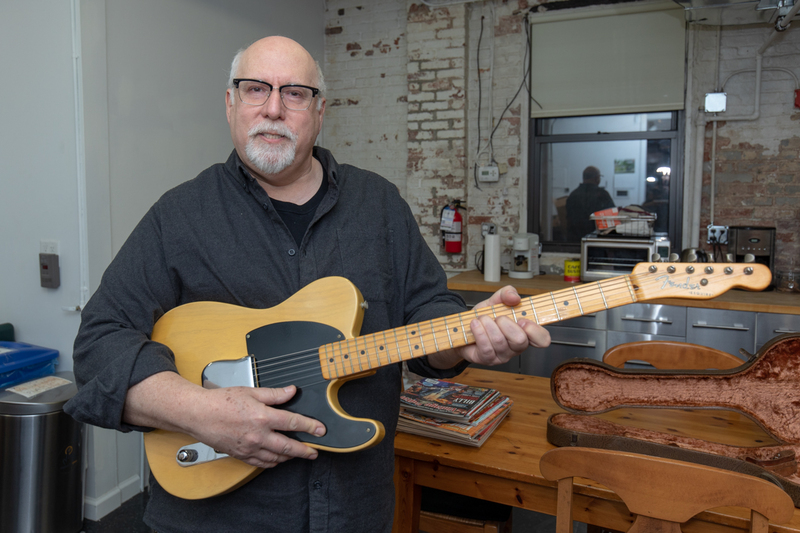 “It was the first guitar Merle Haggard ever played on a live stage,” according to Uhrik. 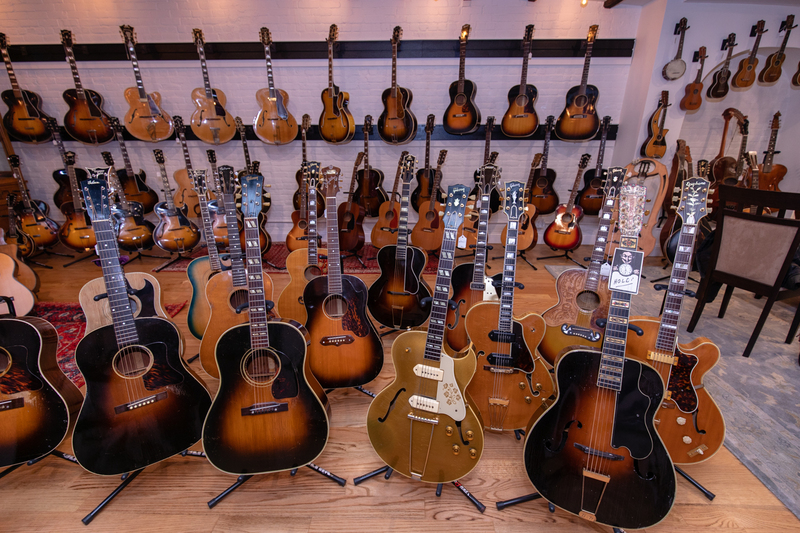 “Fifty years go by and we acquire that guitar from the Frizzell family, and who wants it? Merle,” he continued. Uhrik traveled to California to meet with the performer. “Merle had tears in his eyes,” when he saw the instrument. “He recorded with it the next day.” While Uhrik enjoyed his time with Haggard on his ranch, the two men still had a business transaction to conduct. “He’s looking at it and asks how much it is,” Uhrik said. “He pulls out a silver dollar and says, ‘I’ll flip ya. If you call it, I’ll pay you what you’re looking for. If I win, you’ll knock $50,000 off the price of the guitar.’ I’m thinking, as much as I’d like to high-stakes gamble with a country legend, can we just do the deal?” Haggard amiably agreed, Uhrik recalled fondly.